These simple Cuddle Heart Pillows are so easy to make, you'll love them as much as we do. 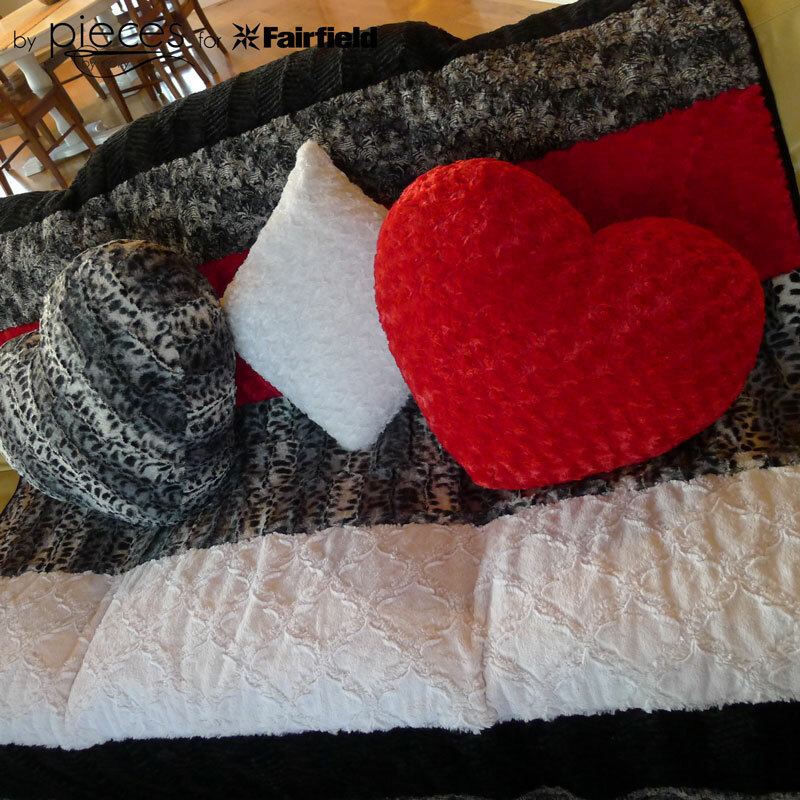 I love the lush softness of the Cuddle Luxe fabrics Shannon Fabrics sent me for this project. (Disclaimer, Shannon Fabrics provided me with the fabric and Fairfield provided me with the Poly-Fil and compensated me for designing this project. All opinions are 100% my own.) 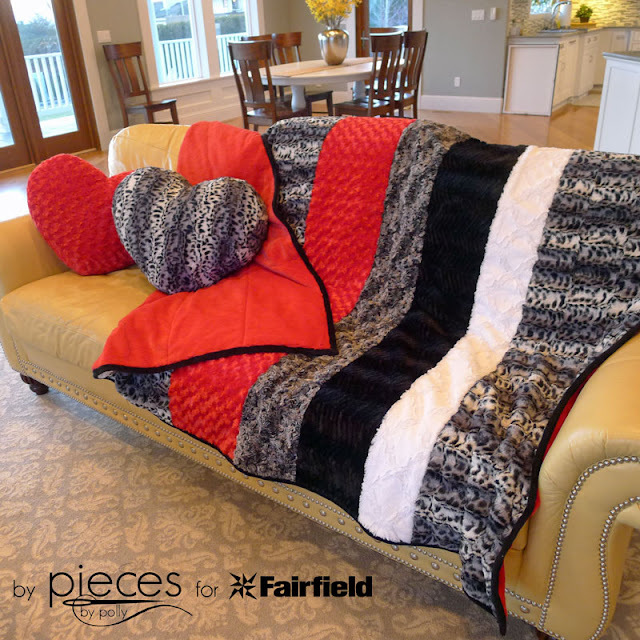 The rich textures give a boost to your home decor. We chose to make ours in Rose Cuddle® in Red and Fancy Puma Soft Cuddle™ in Silver/Black for Valentine’s Day, but they’re so delightful, you'll want to use them year round. Printed Template provided available from the full post on the Fairfield site. 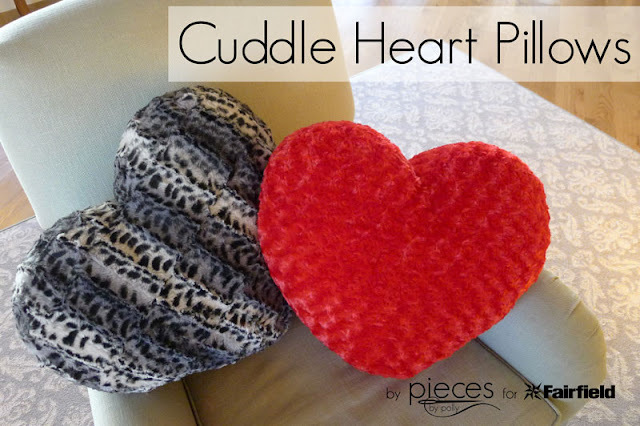 For the full set of instructions, you can see my Cuddle Heart Pillow Tutorial on the Fairfield site. 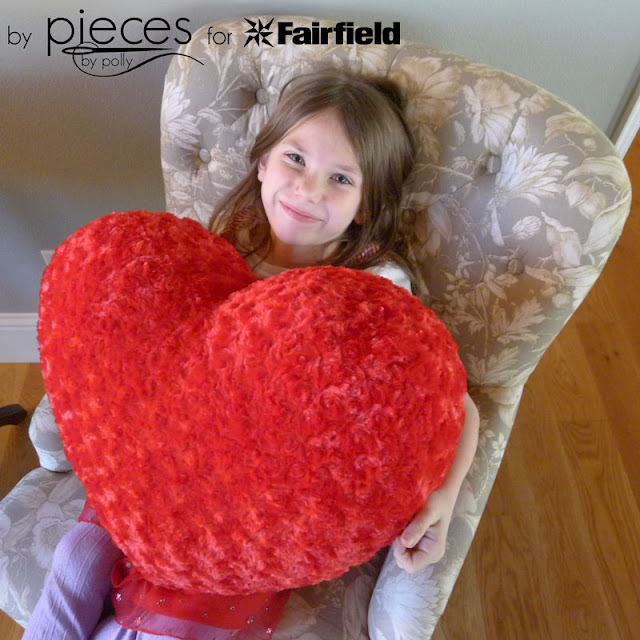 And if the size and shape seems familiar, the measurements for these are just a little different than the Conversation Heart Pillows we made last year.